I had planned a fun family weekend on the way to my parents– just us. 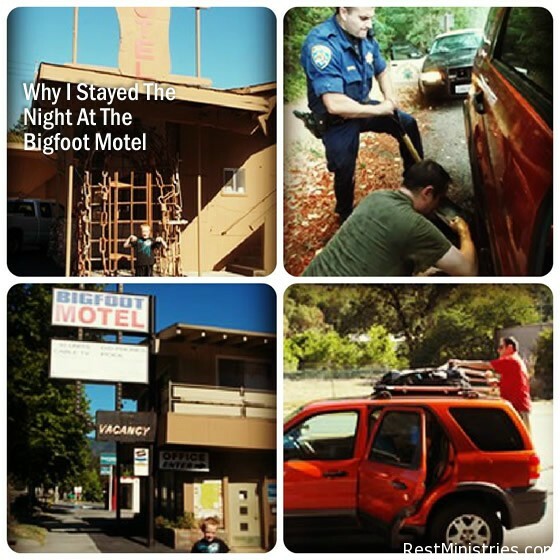 But we didn’t plan on staying at the Bigfoot Motel. WEGO Health asks for their daily writing challenge “share a descriptive story” Day #9. I hope this makes you smile. We are driving over the mountains toward the Redlands. “We are going to see trees bigger than 2 cars, as old as since Jesus lived on earth,” I tell my son with enthusiasm. His head watches a screen in the backseat. I want him to see something God made–not man. He is bored. So I look up the area on my ipad and find something to get his attention. “There are more big foot sightings here than anywhere in the world,” I say. “Well, God made so many animals and species, and we still discover them every day, so why not?” I reply. “Oh, look at that mountain! Isn’t it amazing what God created?” He goes back to his game. We come around a sharp corner. The truck in front of of swerves into the lane which fortunately has no oncoming traffic. Is that a . . . THUD! . . . rock? And then the next sound comes, “flap, flap, flap.” Fortunately–blessedly–there is a place to get off the road. On the side without a cliff. “We have a flat,” my husband says. “Really?” I say No, God, c’mon. This isn’t in my plans! “Oh, yeah,” my husband replies. And then the blue sky, the bright sunshine fades, and in the middle of highway 299, 30 miles to any civilization (which means there may be a liquor store and a pizza place), a huge dark cloud plants itself overhead. It rains. Raindrops that yell, “Splat” hit the windshield. Big drops the size of my thumb. Then sheets of rain start falling, we cannot even see outside the windshield. I grew up in Oregon. I know rain. But this sky dumped buckets. The rain won’t stop and my husband wants to see what the situation is, but as he jumps out to check the tire, hailstones start falling. Big hailstones. About the circumference of a quarter. I have heard about these but never seen them. I am torn between not wanting to get drenched and feeling like my husband needs a cheerleader as he unloads the back of the Escape of all the luggage to be able to get to the lock to loosen the spare tire under the car. I watch the mud accumulate around the tire in seconds. My son is upset. We are in Bigfoot country. Broken down. Without cell service. So I try to dodge the hailstones while I collect a few to give him something interesting to look at while Daddy curses tries to have a positive attitude and slides under the car, where the mud is getting deeper. “Mom, let’s pray,” says my worried son. “Yes, let’s” I say thinking, Dear God, please don’t let my husband have a heart attack out here and we can’t get help. 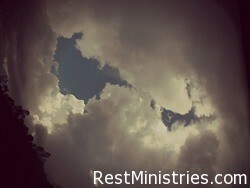 My son and I pray, the hail stops, the rain lessens. But the jack only sinks deeper into the mud. Finally, I get out and actually see a piece of chalk in my husband’s car. I feel like a pioneer woman, fighting off the deathly rain and the risk of bigfoot jumping out at me at any moment. I may not shoot a gun, but I know how to use a good piece of chalk. I roll over the spare tire that is obviously not going on the car anytime soon and I prop up it up and write, “HELP, call police.” My husband doesn’t know if he should tell me I am brilliant or be mad at me that I doubt his ability to fix this situation without his wife writing HELP! signs. I am desperate. I just hope someone driving by will take pity. Within a few minutes a police car shows up. He just happened to be going by. No one called him. Thank You, God. And good job showing my son how You answer prayers! Whoo hoo! “Do you have a bigger jack or any other tools?” I ask him. “No, I have what you have.” What? I want to say. You mean cops only carry rinky-dink jacks too that could barely raise a bicycle? but I bite my tongue. I don’t think my husband would be pleased with me if I started giving the policeman a piece of my mind. 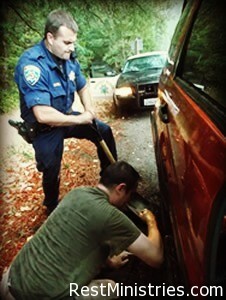 So the cop gets out a shovel and digs around the tire–thinking maybe he can loosen up the mud a bit. But this is not a good idea, and he digs a hole just in time for another downpour and more hail to hit so it promptly fills up the hole with water, causing the car to sink deeper. So as my husband keeps trying to jack the car up, I sit in the car and the policeman goes over and stands under the trees so he won’t get wet. I look over at him under the trees. Gee, thanks for nothing, I think. Are you just going to leave us out here? He gets a call. He goes. He leaves us out there. So my son and I pray some more as my husband joins us yells at the rain, the jack, the mud, the situation. This was so not the nice little family weekend I had planned, I think. I get out the GPS and write down tow company phone numbers on pieces of paper. I write down where we are – 30 miles from one little town, 40 from another. My husband tells me we will flag someone down and ask them to call. That is our only option at this point. My husband and I get out and we feel like the married couple from the Vacation movies of National Lampoon. We pray someone will stop. Anyone. No, not anyone. Someone safe. But no one stops. Finally a car slows down with a boat and we nearly throw ourselves in front of it. “I haven’t even had my phone plugged in in 3 days,” the man says. 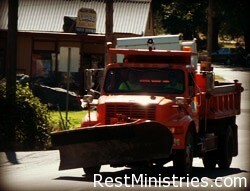 We beg, “if you could pleaaase just stop in the next town and call a tow company. We don’t want to be stuck here after dark.” I keep praying that they will call — and that no one will come around the corner and hit us. 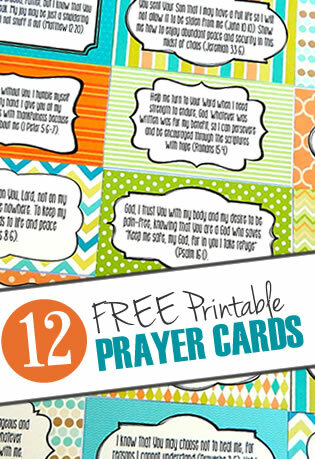 Josh and I continue to pray while my husband looses his temper tries to make his family feel safe. I pray out loud, “God calm the storm, stop the rain, You calmed the storms in the Bible, You can stop this storm.” And my son who is usually a shy little pray-er starts blurting out, “And God, bring the policeman, bring a tow truck!” The fear of prayer is gone. And he is worried his mom is forgetting a few of the important requests we should be asking for. “We are safe, hon,” I promise. “We have blankets, we have food, we have water and God will work it out.” God, please work it out. Don’t let a car plow into us. Finally the policeman comes back. We tell him to call a tow truck. We hear confirmation on his radio, he leaves. Why didn’t we do that the first time? Two women get out and hold their cell phones up to get coverage. They hit the same rock we hit. “Sorry, but it’s not going to connect” we say, “But guess what? A tow truck is coming.” They are our new best friends as we wait 30 minutes for the tow truck. We exchange stories. Her mom has rheumatoid arthritis. They just had a tree go through their kitchen roof. They went to town to look at windows and wedding dresses. They are so relieved we were there. I told my son God sent us so they wouldn’t be scared. The tow truck arrives, the tire is changed, $154. (And yes–we now have AAA). But we are safe. 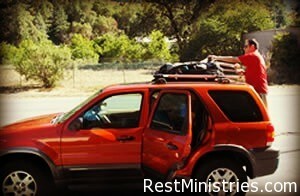 I pray all the way to Willow Creek, a little mountain town that will open in the morning where we can get a new tire. I pray with every turn, overlooking canyons with deep ravines, that God will keep that tire on. We pull up to Bigfoot Motel, laughing, delirious. There is even a “cage” outside for a photo op. There is a sign that says VACANCY. The woman at the desk has her TV blaring and lounge chair nearby with her doggy at her feet. “Do you have AAA?” she asks. We go eat pizza, we unpack the entire car, including the bicycle on the top of the car for safety reasons. We take hot showers. We can’t complain. 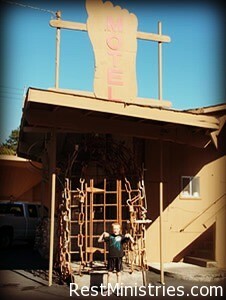 And the next morning, I make my son walk around and take photos of him at the Big Foot Motel. The next morning we will be glad to find a bagel and an “almost new” tire according to the tow truck place. And just for your information, in the state of California, they don’t have the trucks out taking falling rocks of the road on Sundays. The tow truck place of cars that had flat tires was rather busy Monday morning. 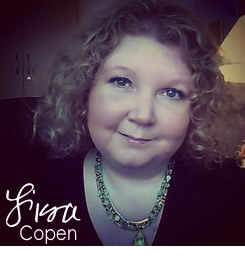 Filed Under: Articles, Fear, Founder's Blog, This is Me, What's New? Lisa, this was so funny…not the part of you being in peril but the method (style) of describing your husband and the rock sign. I am so bound up with muscle pain i barely ever laugh but today I did and it felt good. little part i will say even made me envious as i don’t get out to the degree to go on a trip. What a great story, Lisa–that was so funny and well-written! I grew up in Humboldt County…let’s just say Willow Creek is it’s own kind of special and I’m glad all that met you on the road was another car with a flat tire! There are two seasons in Humboldt…mold and rain! Blessings, Lisa!